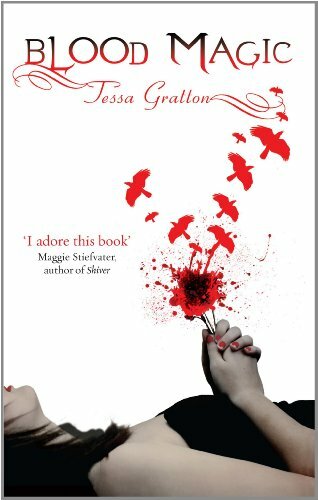 Blood Magic is the first of the Blood Journals Series, a series which I think those people who love their paranormal romance will devour. The best part about this book for me was the main characters and loved following their intertwined story. Silla is someone you really feel for because of all she has been through and Nick is just a little bit gorgeous. I loved how even their backstory was linked (even though they didn't know it) and enjoyed seeing how their relationship changed and developed as the story progress. I can't wait to see more of them in the next installment. I also loved Silla's brother Reese and really enjoyed seeing the relationship he had with his sister. From a story point of view I found tht intially I struggled to keep interest in what was going on as a lot of back story was covered to set up the series. However this changed once the plot started to thicken and the action really started to pick up. The final 100 pages are pretty much breakneck speed all the way through and it got to the point where I had to keep reading to find out what happened next. The scenes were very creepy and action packed. I liked how the author broke up the main story by adding diary extracts from an initally unknown character written well before the book takes place. These extraacts finally start to link to the main story and tied in really well. I liked how it was used by the author to both tie in and explain the backstory. As a bit of a warning for you squeamish girlies, some of the scenes with the blood letting much me cringe and I'm usually quite hardened to any gore. The book leaves you with quite a few questions with a lot of potentially awesome plotlines having been set in place for future novels. I am looking forward to seeing what the author does with them in the next installment. I've heard mixed reviews on this one, but it's still something that I'm interested in reading. It sounds like a fun one. This sounds so good. I can't believe I've yet to sink my teeth into it. Great review! I'm not a big fan of gore either (!) but I am looking forward to reading this one.